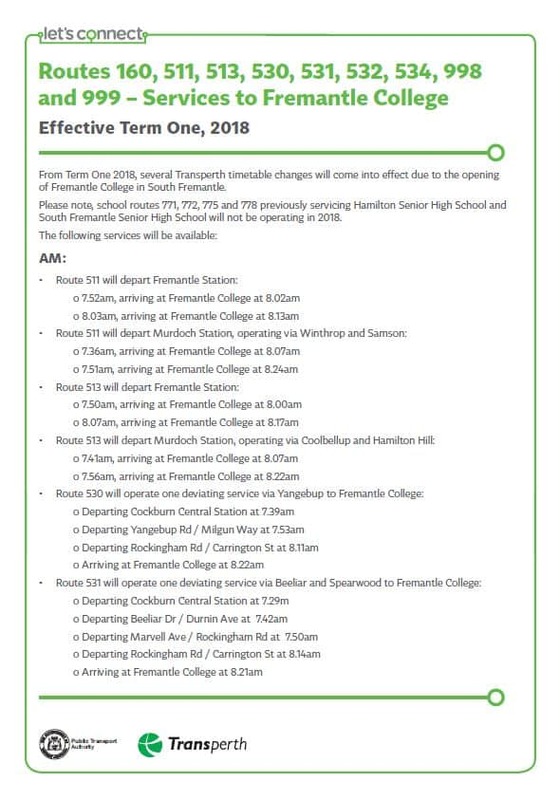 Bus routes that will service Fremantle College have been released by Transperth and will come into effect in 2018. Please click on the links below for a detailed map and route information. Further information regarding times will be available from next year. 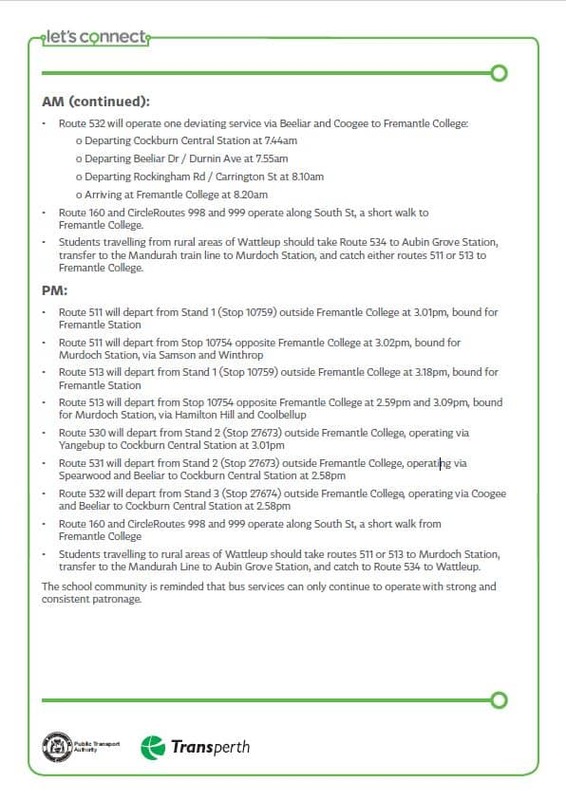 To allow for students to arrive on time for school, the 532 at 7.44am will not longer deviate via Fremantle College. Instead the trip which departs Cockburn Station 10 minutes earlier at 7.34am will now deviate via Fremantle College, scheduled to arrive by 8.15am.